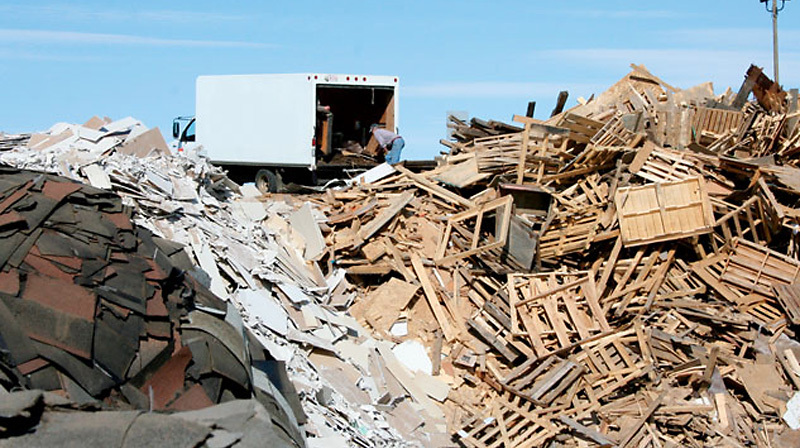 Building sites that recycle tend to be safer and more efficient, he added. And more cities, counties and states are requiring documentation of C&D recycling on projects. The study, underwritten with a grant from the City of Lincoln Public Works Department, was directed by Ecostores and completed with a coaltion of partners: Ayars & Ayars Construction, Kingery Construction, Sampson Construction, Speedway Properties/NGC Construction, and special advisor, Dale Gubbels of First Star Fiber. Steward has prepared a report based on the coalition’s findings, Construction & Demolition Waste Management Best Practices Manual. The report is available in PDF form for downloading here. April 15, 2015 – Joslyn Institute President and CEO W. Cecil Steward will be a featured speaker at Earth Day festivities in Omaha on Saturday, April 18, in Elmwood Park. The 25th Annual Earth Day Omaha, the city’s largest ecological showcase and celebration, is free and open to the public and features exhibit booths, children’s activities, demonstrations by local green organizations, plus live music from top local bands and food from area vendors. All activities are designed to educate and inspire attendees to live green and healthy at home and at work. Paradigm Gardens along with The Nebraska Farmers Union will unite the local community and its’ introduction to the local food shed movement. This event targets local, sustainable businesses, producers and all other groups that work with the local food shed event is designed to bring together local food producers, food related non-profits, food reclamation organizations, educators, institutions and chefs and consumers. There will be a Health and Wellness area, a tree climbing adventure, recycling of electronics, and much more. Earth Day Omaha is produced by the Earth Day Omaha Coalition, a non-profit 501(c)3 organization, dedicated to increasing public awareness of environmental issues through annual Earth Day events and activities. The Earth Day Omaha Coalition is affiliated with Earth Day Network, the international organization coordinating Earth Day events worldwide. Find maps, schedules, and much more information by clicking here. Cecil Steward’s presentation will focus on food hub markets and the feasibility study JISC has been conducting on the possibilities of establishing a regional food hub at Pershing Auditorium in Lincoln. Ben Gotschall is owner of a local farm and Lone Tree Foods. His presentation will be about connecting local farmers to local eaters. Michelle Welch is Director of Wellness for the Lincoln Public Schools. She’ll be talking about how wellness is the cornerstone of a healthy life. Matt Stinchfield owns Ploughshare Brewing Company and Restaurant. He’ll be discussing the journey toward change on the food scene and how we fit in. The viewing party in Lincoln is one of nearly 150 similar events in 35 states and 10 other countries. The free event will be conducted March 7, 2015 in the Public Events room of Firespring and Cornerstone Printing, 1201 Infinity Court, Lincoln, 68512. Doors will open at 9:00 AM and the program will be offered from 9:30 AM to 5:00 PM. There will be a modest charge for the lunch and snacks, which will be locally sourced. Reservations are requested to help the organizations plan for the day. Interested parties can make reservations and purchase a lunch ticket at TEDxLincoln.com. In addition to the four local speakers, this one-day conference will feature a dynamic and diverse group of speakers from across the country addressing the issues in the sustainable food and farming movement. Speakers from the main stage in Manhattan are well known promoters and practitioners, each with a specific idea to help people change the way they eat. Some of the speakers include Kendra Kimbirauskas, originally from the Midwest and now living in Oregon on a small farm; Michele Merkel, co-director of Food & Water Justice; Danny Meyer, CEO of a group that operates restaurants in New York City; Ali Partovi, board member of FoodCorps helping improve food sourcing and education in schools; and Stefanie Sacks, a culinary nutritionist and consultant. For more information, or to make a reservation, contact Randall Bretz, Curator of TEDxLincoln, rgbretz@gmail.com. LINCOLN – W. Cecil Steward, JISC President and a member of the Capitol Environs Commission, believes it’s time to turn attention to the areas south and east of the state capitol building in Lincoln. “In general, this district of Lincoln has not reached its potential and has opportunities to enhance and strengthen the sustainability of the Capitol environs or the overall urban quality of downtown Lincoln,” he said. Many buildings in the area are in transition or ready for redevelopment, like the Pershing Center, the Windstream warehouse, Bennett Martin library, the old YWCA building, the Federal Building parking garage and some state and university properties. Steward wants the city Planning Department to create a sub-area known as the “East Capitol District” and help it fit into the overall 2040 Comprehensive Plan. The developments along Centennial Mall, Antelope Valley and the West Haymarket have shown there is a demand for new types of low-, mid- and high-end housing options. More residents will in turn create a demand for more businesses and commerce, alternative transportation options and more vibrancy in the high-density area, he said. Steward points to Omaha’s Midtown Crossing and Midtown neighborhood revitalization as a great example of higher-density housing aimed at different household income levels combined with retail. Click here to download a PDF of an article that was published in the Lincoln Journal Star in December. Click here to download a Word document of the proposed East Capitol Area resolution. Consumer demand for locally grown food in the United States is expected to rise from an estimated $4 billion in 2002 to as much as $7 billion by 2012. According to the 2007 U.S. Census of Agriculture, vegetables, melons, potatoes, sweet potatoes crops in Nebraska was valued at $63.8 million; fruits and nut trees, $2.59 million; nursery, greenhouse, floriculture, $41.2 million; and cut Christmas trees and short rotation woody crops. $592,000. Land grant universities around the Midwest are joining together to hold simultaneous state conferences to discuss biofuels and the future of renewable energy. The 2009 Bio eConference – “Growing the Bioeconomy: Solutions for Sustainability” – will be held on December 1 through a network of co-host sites that will be “sharing content through high-speed communication systems to promote agriculturally-based sustainable solutions to global climate change and energy supply.” The conference will also be available online for a fee.